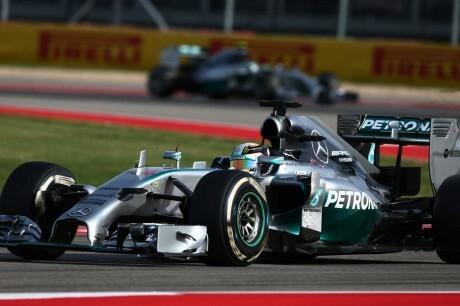 Championship leader Lewis Hamilton overtook his Mercedes team mate Nico Rosberg to win at the Circuit of the Americas which also means he extends his lead in the Drivers’ Championship to 24 points, with only a maximum of 75 remaining. Hamilton broke Nigel Mansell’s British record as he crossed the line for his 32nd career victory and his 10th win of the season, but he was made to work for it. Nico Rosberg started well and led the first stint, building a comfortable gap. But following on from the pit stops, Hamilton was able to ebb away at Rosberg’s lead and on lap 24 he got past, braking late at the end of the straight to move down the inside of Nico Rosberg at Turn 12. From then on, Lewis controlled the race. For every push Nico attempted, Hamilton responded the following lap. Behind them there was a hive of activity throughout the race, with multiple overtaking moves and varying strategies.Red Bull’s Daniel Ricciardo rounded out the podium after brilliantly undercutting both Williams drivers, but it isn’t enough to keep him in the running for the title. He is now mathematically out. Ferrari’s Fernando Alonso took sixth place, managing to hold off Sebastian Vettel on the last lap, who charged through the field in the latter part of the race as though it was 2011 all over again. Starting from the pit lane, he lacked pace all race long and found it hard to keep pace with many slower cars, but on the soft tyre for his last stint, and with a low downforce setup, he was incredibly quick. Mclaren had mixed fortunes as Kevin Magnussen took eighth, but Jenson Button on worn tyres struggled and had a train of cars pass him as he moved from eighth down to twelfth within the final two laps. Pastor Maldonado took ninth to give Lotus some much needed points and Jean-Eric Vergne did his best to pick up the final point of the race, after being given a penalty for a bold move on Romain Grosjean a few laps earlier, who struggled to finish after suffering steering issues after the contact with Vergne. The cloud of uncertainty – no Marussia or Caterham, potential boycotts by other cash-strapped teams. All pushed to one side for what was an excellent race that showcased the best of the sport whilst it was under the most intense of global spotlights. Despite the heart-in-mouth moment Lewis Hamilton passed Nico Rosberg, the best dicing and diving was going on with the midfield runners. Unfortunately Force India had both cars retire, Hulkenberg stopping after seeming to lose power after Perez ploughed himself into the side of Adrian Sutil’s Sauber on the opening lap. Disappointment too for Sauber who were confident of scoring their first points this season. There was too much action to talk about, it would be impossible to mention everything, but as I said in the preview, everything is bigger in Texas. Now in it’s third year it’s becoming fast a favourite of drivers and fans alike. With Mexico next year and talk of a second US Grand Prix in the works, let’s hope it doesn’t detract from the jewel created outside one of the world’s coolest cities in Austin. Onwards to Brazil, where the intensity of the spotlight moves to Sao Paulo. 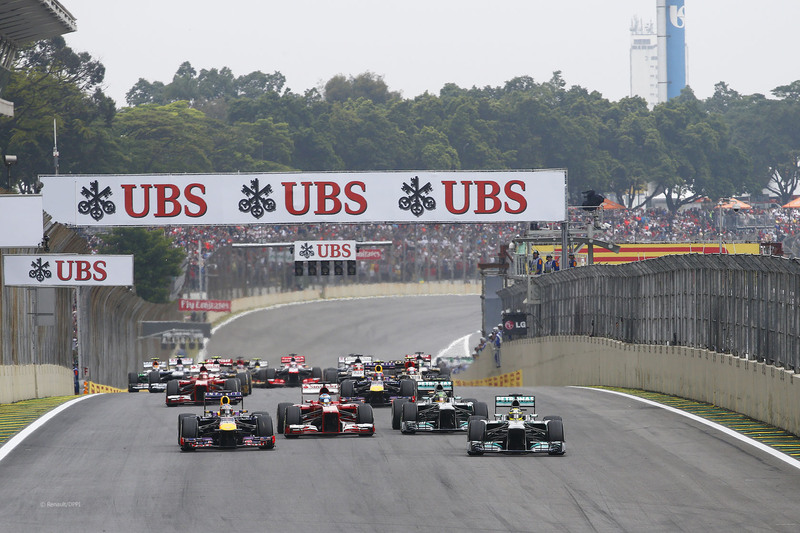 Interlagos is a circuit used to closing out the season and crowning World Champions, but due to the double points finale in Abu Dhabi this year, this won’t be the case. But don’t think that means it’ll be lacking in drama – the short lap means lots of action – and rain is never far away.